October 31 to November 2 represents a special time in many Mexican homes. 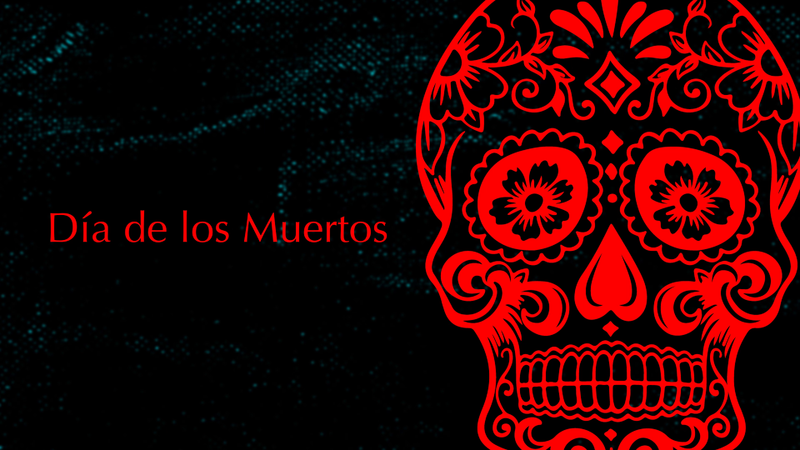 Día de los Muertos is a time to remember those who have passed. This pre-Aztec tradition began in Central and Southern Mexico but has been a national holiday since the 1960s and our Mexican students were thrilled to share a piece of their culture with the LCS community. Although the festival coincides with Halloween, it is not a spooky or scary event, and the message of remembering loved ones who have passed and celebrating the fragility of life is a beautiful one. The original celebration took place in the summer months, but modern day traditions have elements of Christianity and the days now align with the tradition of All Saints and All Souls’ days. At Lakefield, preparations for the day began days in advance when Ms. Brown's Spanish class created beautiful las mariposas (butterflies) to adorn our hallways and represent the spirits of the dead coming back to visit their loved ones. These creations travel through the halls, guiding us to the ofrenda (altar) created by another Spanish class. Honouring the Mexican tradition, the ofrenda offered a place where students could place pictures, memorabilia, sugar skulls, flowers and favourite foods of their departed loved ones. The colourful and decorated arrangement brightens our Chapel Narthex during the celebrations. Ms. Dalrymple's Spanish class benefited from online discussions with some of our generous Mexican families. This amazing opportunity enabled students to practice their Spanish and learn more about this part of Mexican history and culture. Our students were keen to learn more and the discussions were a highlight of their learning. Ms. Dal's class also set to work making the traditional pan de muertos (bread of the dead). With the help of our Aramark catering staff, the students prepared this special treat for all to share. Thursday's day of celebration began with a wonderful Chapel presentation about the history and importance of Día de los Muertos. Members of the LCS International Club and students from Mexico researched the history, meaning and symbols of the day and shared personal stories about how the holiday is celebrated. The LCS community learned about ofrendas, graveyard celebrations, flowers, sugar skulls and more as our Mexican students shared stories in Spanish (with English subtitles). All members of the LCS community were invited to light a candle in honour of their deceased loved ones, before and after Chapel. Events continued late in the day with a delicious Mexican themed dinner in the dining hall. Members of the International Club decorated tables, doors and walls with traditional Día de los Muertos decorations. Figures, "Catrinas" and "Catrines," adorned the walls, sugar skulls lined the tables and brightly coloured papel picado gave the dining hall a festive look. As part of our Sunday Sunshine program, 15 students baked more than 500 Día de los Muertos inspired cookies and decorating the intricately designed cookies was a highlight at dinner. Many students returned to fill their plates a second time and it was clear that the extra effort put forth by the Aramark catering staff was appreciated by all. The final celebration of the night was a screening of the movie Coco. Over 50 students attended and left the theatre truly touched by the sweet story that shed light on the tradition of Día de los Muertos. A taste of Mexican hot chocolate before heading off to study offered a delicious experience for many and capped off a wonderful day of celebrations. The LCS International Club and Ms Horrigan (Coordinator of International Student Affairs) look forward to helping our international students celebrate events that are important to them. We encourage anyone with a cultural event to celebrate to contact club members with ideas. Celebrating culture, in its many forms, build understanding and makes our community stronger. At LCS we are so fortunate to be a part of a strong and vibrant community and that is always reason to celebrate.